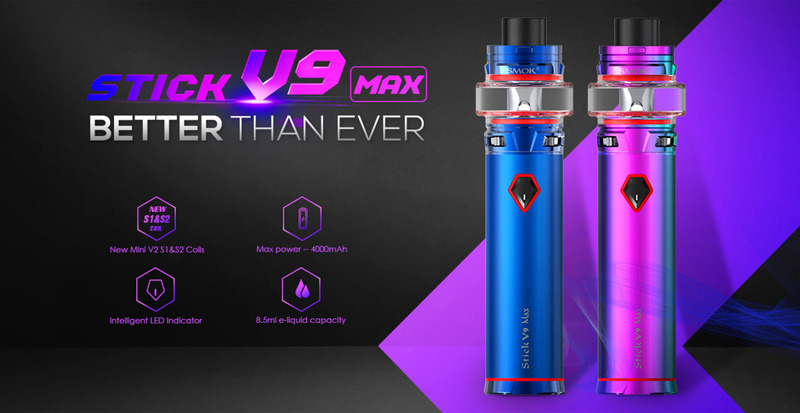 Smok Stick V9 Max kit, a new upgraded version of Stick V8 series, consists of built-in 4000mAh battery and Stick V9 Max tank, which are the best combo either from the appearance or the performance. For the "Max", you can tell from its 4000mAh battery capacity, and its large outside diameter in stick and tank, no doubt, they're perfectly compatible with each other. As for the tank, it has a gigantic e-liquid capacity with 8.5ml, and it's specially designed for Stick V9 Max by adopting Mini V2 S1 and Mini V2 S2, both of which are custom-made coils for Stick series battery, focusing on lower wattage but intense clouds and flavor. Holding Stick V9 Max in the hand, you're just the one who can conquer the giant. Innovation keeps changing the vaping experience! The Lost Vape Orion Q 17W AIO Starter Kit follows the tremendous success of the original, featuring a proprietary chipset with 40W max output, 950mAh internal battery, and introducing a 1.0ohm KTR Orion Pod while maintaining the luxurious chassis construction. The Lost Vape Orion Q Edition retains all the intricate details of the Orion DNA GO, such as premium alloy shell and stunning carbon fiber or resin details to craft a high-end all-in-one pod system. The key difference resides in the chipset, implementing a refined output presets with multiple output adjustments without customization functionality.